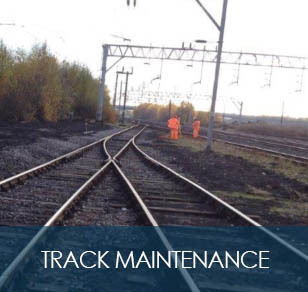 Aaron Rail provides rail and civil engineering solutions to the rail sector across the UK, offering a full planning and installation service through to fitting and maintenance. As part of our projects, we use our highly-qualified rail and civil engineering specialists to produce test holes for foundations and foundation bases for posts and signage. We only employ PTS trained staff and work to the most stringent safety standards. We are fully aware of the need to maintain security at sites at all times and, as part of our offering, we control who has access to the site and when through our security division Aaron Guard. How access is given and monitored and the level of security needed are just some of the aspects Aaron Rail will explore with you to deliver your ideal solution. Our bespoke security solutions are regularly involved in a range of duties such as access control, PTS guards, gate-house and out of hours remote location temporary CCTV security. This list is by no means exhaustive as we will constantly seek opportunities to add value to the security solution required to ensure the best possible value for money. Our aim is to be a great place to work so that we are always a great place to do business with. Our team is focused on delivering a great service first time, every time. We have signed the armed forces covenant and work extensively with military personnel. Our experience shows that working with professionals at every level delivers: high levels of safety, reliability, productivity, innovation, value and trust. Key to success is communication and collaboration. Aaron Rail is heavily involved in working with Amey in the early stages of the Transpennine upgrade. This upgrade will shorten train times and help to future-proof this part of the network. Starting in April 2018, Aaron Rail has been working with Taziker in Cambridge doing over rail bridge repairs. The bridge had brickwork which was in danger of collapsing and required multiple repairs. 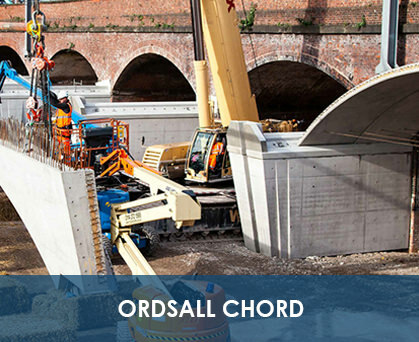 The Ordsall Chord project forms a key part of Network Rail’s £1bn Northern Programme to improve travel in the north of England. It is the biggest project in this part of the country for decades and sees the construction of a new rail viaduct which will, for the first time in history, provide a direct link between Manchester’s three mainline stations (Piccadilly, Oxford Road and Victoria). Some of the work has been delivered over carefully staged possessions; Aaron Rail provided skilled and experienced labour for a total of 900 shifts, with management teams to supervise, throughout the possession of Christmas 2016. This contributed to the smooth and timely delivery of this crucial part of the project. Working as part of an award-winning team, we supplied over 3,000 person shifts to the Ipswich Rail Enhancements projects. Working for a tier one contractor we supplied labour over a 20 week period including a 17-day blockade working 24/7 without accident or incident. During this time provided multi-skilled labour to support the P-way, signalling, OLE and minor civils teams. The Aaron Rail team received direct praise from both the tier one contractor and the Chief Executive of Network Rail. In Autumn 2014 Aaron Rail supported Alma Rail in completing two key S&C renewals on the Manchester Metrolink. Over two 54 hour possessions the team successfully installed 2no. crossovers. The Aaron Rail team gained huge praise not only from Alma Rail but from the client Transport For Greater Manchester. 15-day blockade at Gravesend in 2013 supplying over 1,000 person shifts. The project was a huge success despite the worst weather conditions seen in years in the area. Aaron Rail supported throughout the 15 days with the P-way and fencing works on the newly constructed platform extensions. Thanks very much for successfully completing the Ordsall Chord blockade and handing back early. It has been a great project and the new chord is going to make a massive difference to passengers in Manchester. Well done and thanks very much indeed. An amazing amount of work delivered on time. A great job by the team. Really well done - great effort by everyone. Particularly impressed with the safety record and the lessons learnt. Many thanks. around the Salford Central site, getting excellent views from the public multi storey car park. It was most impressive. Really well done, great news. The amount of work delivered safely and to programme over the last week for Ordsall Chord is unbelievable. An amazing result - well done to all involved. You really are getting good at this! World class!! A great result and credit to the whole team! Well done and thank you. A fantastic result. Thanks for another excellent achievement for the Northern Hub Alliance. Well done and congratulations. Aaron Rail holds SIA approved contractor status for the provision of Security Guarding services.